This incredible climb is worth every ounce of effort. The Matterhorn is one of the most recognizable mountains in all the Alps! 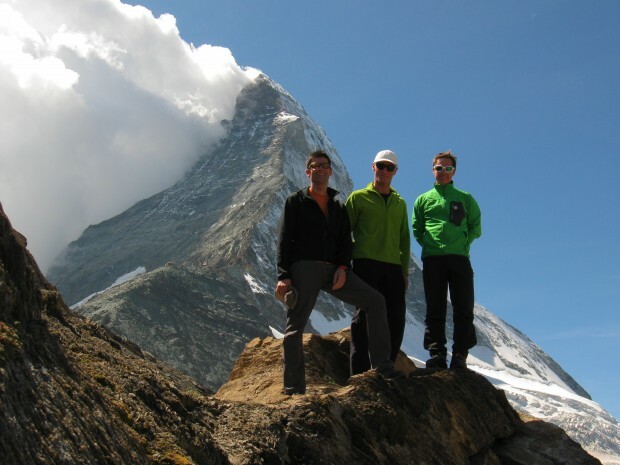 Our guided climb up the Matterhorn is perfect for mountaineers who want to climb one of the most classic routes in all of the World. Join Jean Pavillard and his team of Internationally Certified Mountain Guides on their next trip. The Matterhorn offers the perfect alpine experience, with an early morning start, when the first rays of sunshine illuminate the east facing slope. The exposure from the start to the summit of the Matterhorn offers great views. The rock climbing is interesting without being too difficult, just challenging enough, especially with crampons. The summit of the Matterhorn will remain engraved in your memory for the rest of your life. You will stand on top of this icon of a mountain, looking at the village of Zermatt 9’000 ft. bellow you, with Italy on one side Switzerland on the other.